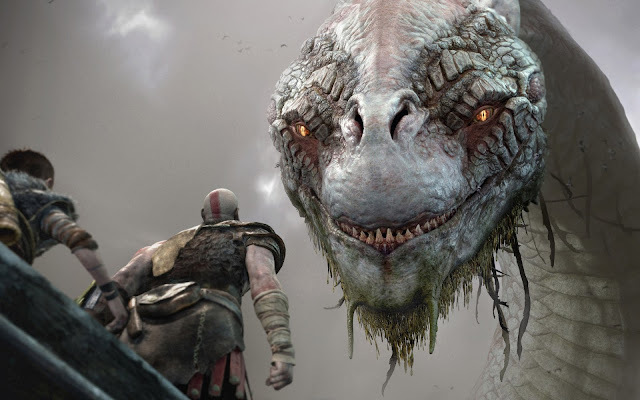 Recently, an official podcast of God of War was presented, which dealt with two primary aspects of the game: the presence of the giant serpent of Midgard and the name Jörmungandr and the role of the dwarves Brokkr and Sindri. To speak about it, Rafael Grasseti in charge of the designs of the main characters and Bruno Velazquez in charge of animations were present. Grasseti indicated that from the beginning they were clear that they had to introduce Jörmungandr because it has a high relevance in the Norse mythology. The difficulty in dealing with this character is not only due to the implausible dimensions it present, but also to the fact that we must interact with him in many different ways, either jointly or even at a long distance. In turn, he points out that in the first sketches he made of Jörmungandr came to mark him as a female character, but ultimately ended up deciding that it would be best to leave him as a male. He also points out that the hydra of previous deliveries was a great inspiration when it came to molding Jörmungandr, and they had endless discussions about the character. Bruno Velazquez jumped on the scene to describe the role that we could expect from Brokker and Sindri, and the fact is that it is not far from what we had been shown in recent times. According to their words, they will be a kind of “dependents” which we can attend to, apparently, making us with multiple improvements, although this will not be their only function. If something has been made clear so far thanks in particular to the many interventions of Cory Barlog, director of God of War, is that this new episode of the saga is a restart in many areas for Kratos, especially for staff. 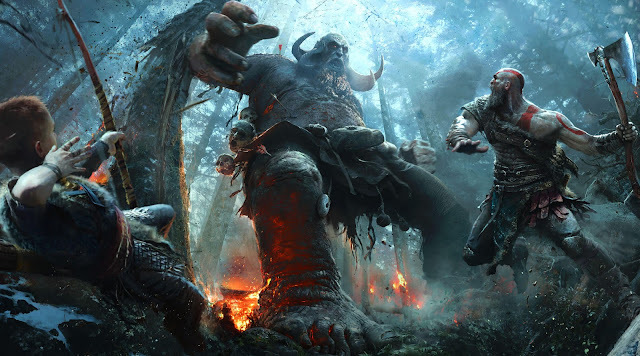 Brokkr and Sindri will play a role in which to prove that Kratos can interact with people without having to face them, something that Atreus will also be important. So, it seems that in this installment of God of War we will find a good variety of characters whose role will go beyond presenting itself as a target for Kratos. Although it does not seem that the violent atmosphere is going to be lost, it will be necessary to apply a different perspective to understand everything that Sony Monica Studio intends to convey to us on this occasion. Thank you for the reply! God of War is one of the most highly anticipated PS4 titles. According to the NeoGAF user, the Amazon e-mail says God of War will have a release date between July 5 and July 10 2018. The product page for God of War on Amazon US list says the game will be coming to PS4 on June 30 2018.